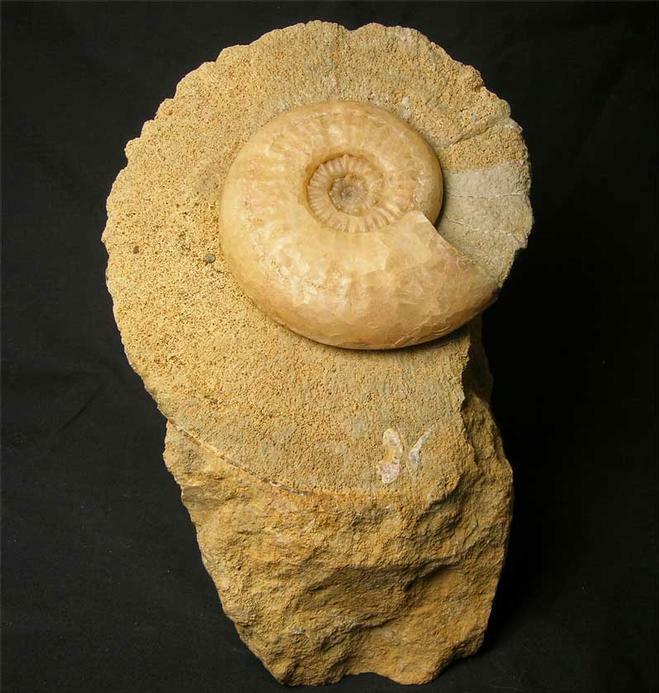 Many hours of preparation has gone into this stunning solid yellow calcite ammonite by Andy Cowap. 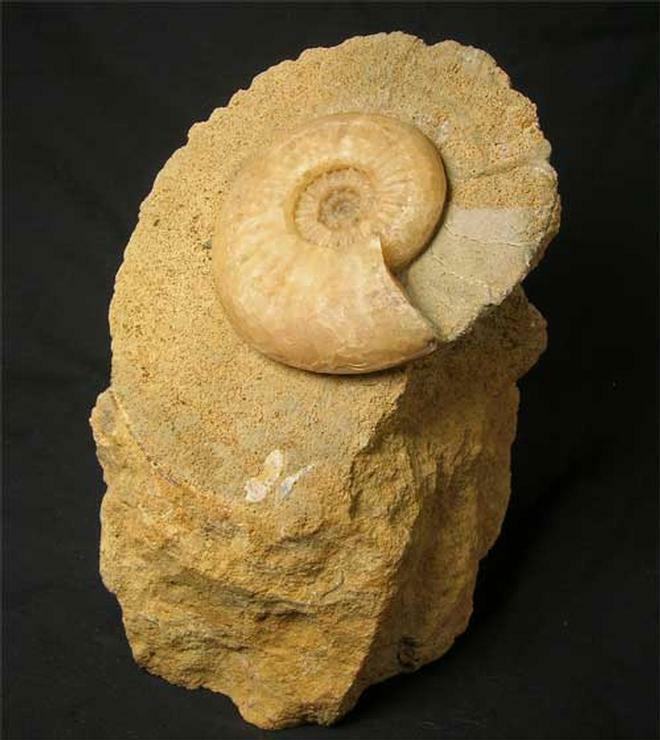 This ammonite was discovered at the famous Oolithic site of Bradford Abbas by Andy himself. The overall appearance of the matrix is very aesthetic, a good solid piece of oolithic rock with a cut base for ease of display. 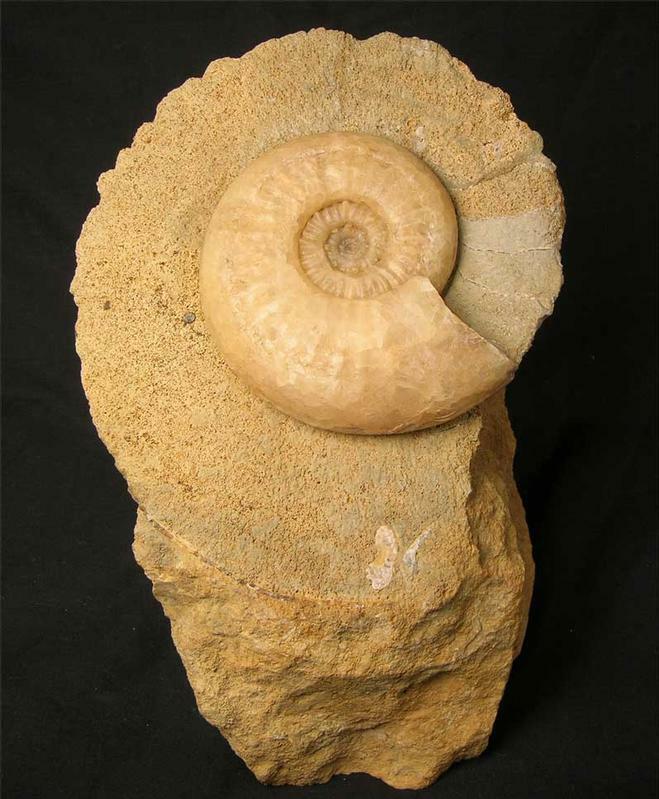 In the centre of the ammonite are small nodes/spines which are typical with this type of ammonite. 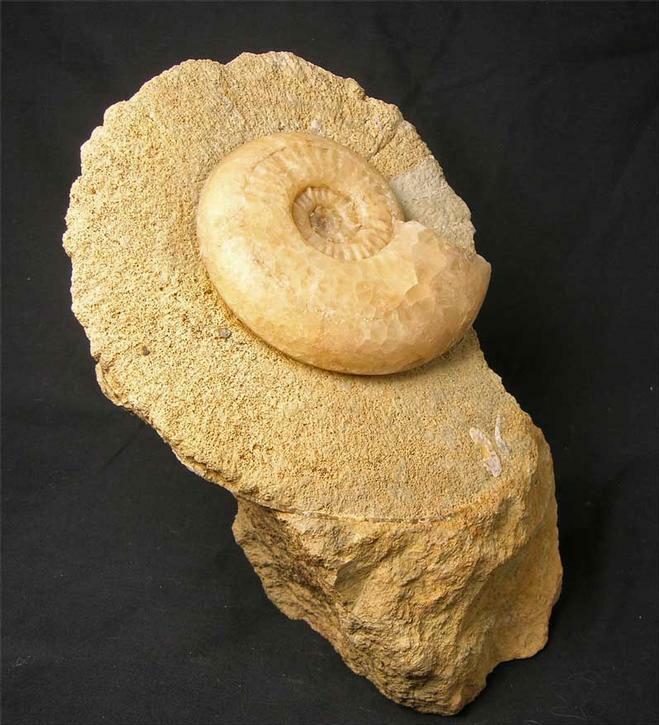 A stunning and rare display fossil. Approximately 174 million years old.